TOKYO -- Suzuki Motor said its operating profit rose 68 percent in the last quarter due to strong automobile and motorcycle sales in India, its biggest market, as well as growth in Europe and at home. Operating profit was 86.9 billion yen ($790.36 million) in October-December, jumping from 51.85 billion yen a year earlier. Suzuki kept its forecast for full-year operating profit at 300 billion yen, up 33 percent on the year, based on an assumption that the yen will trade around 111 yen to the U.S. dollar and around 1.70 yen to the Indian Rupee. Suzuki said its global vehicle sales rose 9.3 percent in October-December, as demand continued to rise in India, Europe and Japan. Motorcycle sales rose 14 percent in the quarter, led by strong demand in India, China and other Asian countries. The Japanese automaker dominates the Indian market through its majority stake in Maruti Suzuki India, the country's largest automaker. 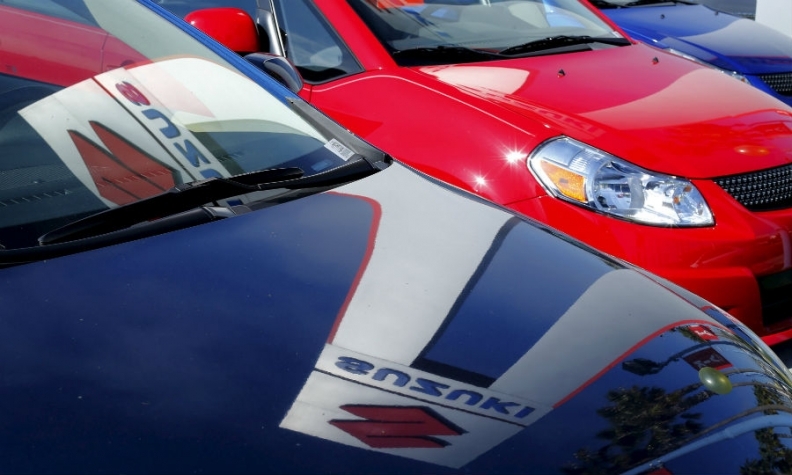 Boosted by strong sales in India, Suzuki has been one of the most upbeat about its prospects for full-year operating profit among Japanese automakers, many of which are seeing sales growth curbed by slowing demand in the U.S. where Suzuki has a very limited presence. Booming Indian demand has been a strong profit driver at Suzuki, but a rapid tightening of the country's regulations on gasoline vehicles could have a big impact on the automaker, which generates roughly half of its global sales in the country. Neither Suzuki nor Maruti market all-battery EVs at present, but Suzuki last year formed a joint venture with Toshiba and Denso to produce lithium-ion batteries for cars in India. To get a foot in the door of the fast-growing EV market, Suzuki in November also reached an agreement with bigger peer Toyota to cooperate in selling electric vehicles in India from around 2020. Current sales of electric cars in India remain negligible, mainly due to the high cost of batteries which make the vehicles out of reach for many buyers in a country where cars can cost 250,000 rupees ($3,868). A lack of charging stations is also likely to slow the introduction of EVs.